There are so many ways your business can advertise online. 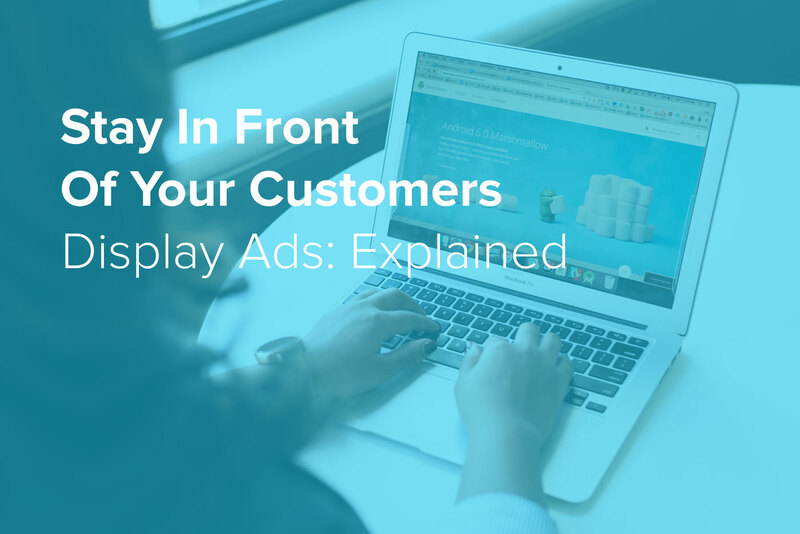 Here we try to breakdown the components of a Display Ad, as well as the targeting strategies behind them. Have you ever been looking online for a specific product, and all of a sudden over your next few internet browsing sessions you keep running across advertisements for the same product, or similar products? That’s display advertising! Display lets you reach a highly targeted audience that is already interested in your products and/or services and helps you speak directly to them. 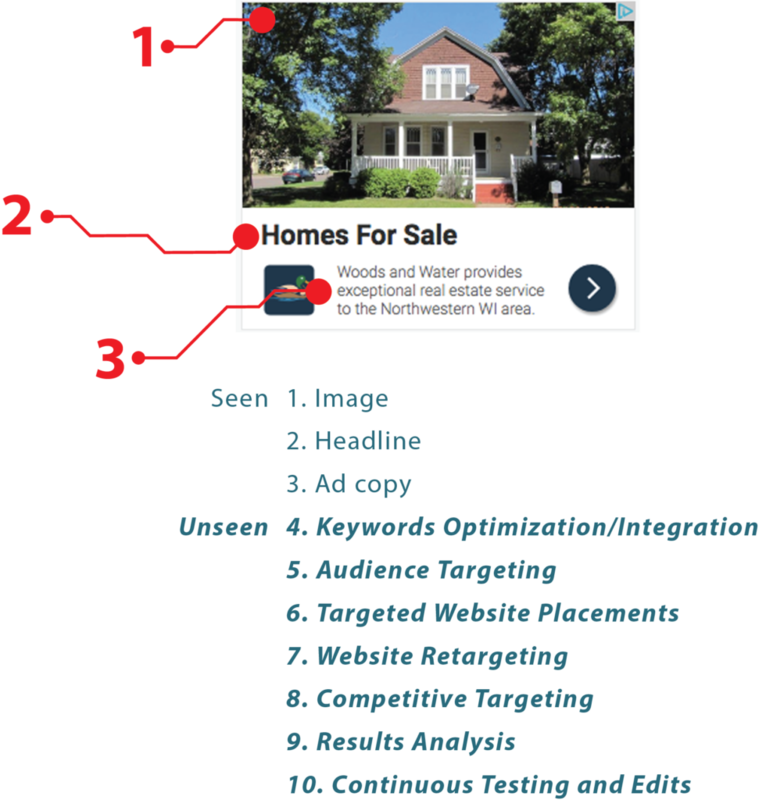 But it’s not all pretty images and nicely tailored copy points, here’s a quick review of the components of a display ad. Keyword Optimization/Integration – The specific keywords that are associated with this ad. We match these keywords to specific user interests so we show your ad to the right people, at the right time. Audience Targeting – Specific demographics and geofencing. For example, you might be targeting 25-40 year olds in southern Wisconsin, or senior citizens around the country. Targeted Website Placements – Specific and general websites which your ad will appear on. Another great way to stay top-of-mind in front of your target audience. Website Retargeting – Ads are set to appear on other websites after customers have visited your website. A great way to gain traction with branding impressions and inspire action to users who didn’t take action the first time they visited your website. Competitive Targeting – Targeting based on people looking for your competitors products/services. You can even have your ads appear on your competitor’s website if they are part of Google’s Network! Results Analysis – All digital marketing produces measurable results to help make research-based decisions on what customers are responding to, allowing room for tweaks and edits. Display ads are shown on websites that are a part of Google’s Display Network, which encompasses 90% of websites on the internet. Now that’s a huge reach! 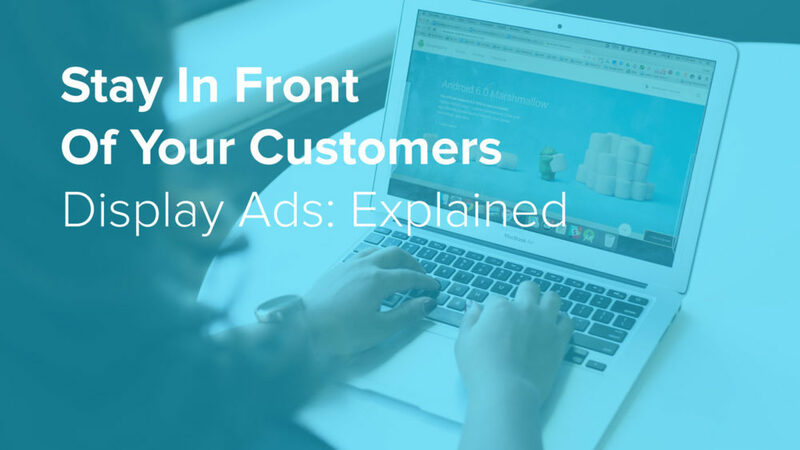 Display ads are useful for reaching your customers with an impactful image. With retargeting, these ads are great at reminding the user what they were shopping for beforehand, and can assist them in returning to your website and inspiring them to complete some sort of action. Wondering how this strategy could be implemented for your business? We can answer any questions you may have about Display Ads!